In order to understand the importance of Uninsured Motorist coverage it is essential to understand exactly what it is, what it does, and how it works. To do that it is important to consider it in the context of motor vehicle insurance generally. In Maryland motor vehicle insurance is compulsory; however, the required limits are rather low: $30,000 per individual per accident to a maximum of $60,000 aggregate per accident is all that is required. Watch Attorneys Paul D’Amore and Scott Lucas discuss this topic on Midday Maryland and why it’s so important to be adequately covered. Coverages beyond these minimums are available for purchase from all major automobile insurance providers. The amounts of coverages available vary from carrier to carrier and are also subject to variation based on the qualifications of the person applying for insurance. Ultimately, a majority of motor vehicle policies issued are issued for the state minimum amounts. This is also the case for Uninsured Motorist coverage, which like liability coverage, is compulsory up to the $30k/$60k limits. Uninsured Motorist coverage (UM) is coverage that you purchase from your own automobile insurance provider that will compensate you in the event that you, or a family member, are injured by someone negligently operating a motor vehicle with no insurance. The importance of this cannot be overstated. While an injured party is entitled to bring a lawsuit against someone who negligently causes them injury even if that person has no insurance, there are almost always serious practical concerns about ever being able to collect on any judgment. The presence of Uninsured Motorist coverage in sufficient amounts to protect your family is, therefore, essential. You can imagine some of the ways that a vehicle might be determined to have no available insurance, such as an intentional decision by the owner/operator not to purchase insurance, or a negligent failure to make a timely insurance payment that results in a lapse in the policy. Further, even vehicles that are insured can in some circumstances be deemed to have no insurance as it relates to a particular collision. For example: If a vehicle is borrowed by a friend or family member without the permission of the owner that person can be deemed to be an unauthorized user of the vehicle and the insurance will not cover any collision they cause.Similarly, if a vehicle is stolen the vehicle’s insurance provider will not cover the injuries caused to a third party by the negligent operation of the vehicle. 1.) Coverage in the event you are injured by someone with no insurance. 2.) 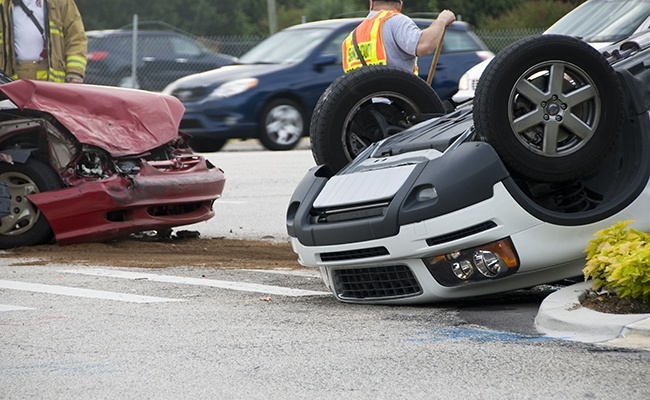 Additional coverage in the event you are injured by someone with too little insurance. This latter coverage is known as Underinsured Motorist Coverage (UIM). Both Uninsured and Underinsured coverages are covered by the same portion of your insurance policy so an increase in the Uninsured coverage will be sufficient to protect you and your family under both. Why Should Uninsured Motorist coverage Matter to You? 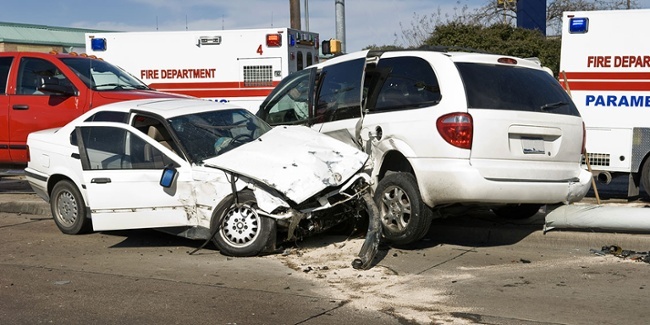 Car accidents occur with great frequency and often result in serious and catastrophic injuries. Those injuries often result in the accumulation of substantial medical and other expenses as well as loss of substantial income when an injured person is unable to work because of injury. These expenses, combined with the income loss, can be financially devastating to a family. The majority of vehicles on the roadway are covered by Maryland state minimum policies so when great injury is caused by someone who is uninsured or someone with a minimum policy the chances that the injured party can be made whole are virtually nonexistent. However, for those who purchase additional Uninsured Motorist coverage the presence of that coverage is often life altering. For example: Someone who has purchased $500,000 in UM coverage would be able to recover up to $500,000 from their own insurance carrier even when injured by someone who had no insurance at all. In the context of Underinsured Coverage and assuming the person causing the collision had the Maryland minimum $30,000 that person would be able to obtain the $30,000 from the insurance carrier of the person who caused the collision and up to an additional $470,000 from their own insurance carrier. These are critical funds to cover things like medical bills, lost wages and the injured party’s pain and suffering. It is important to note that this coverage covers not only the policy holder, but all of the policy holder’s family members who reside in the policy holder’s home. It covers them not only when they are in the policy holder’s vehicle, but indeed when they are in any vehicle. Further, it covers them under any circumstance in which they are injured by the negligent operation of a motor vehicle by another person. For instance: A pedestrian out jogging who is struck by a negligently operated vehicle would be covered by available UM/UIM coverage. Many people are unaware of the importance of UM coverage and generally insurance carriers do not attempt to pressure sales of larger amounts of the coverage. Those who are aware of the coverage are often concerned about the increase in insurance premiums. It’s critical to be aware that the increase in premiums is not proportional to the increase in coverage. For example: If $30,000 in coverage costs you $100 a month, $60,000 won’t cost you $200 and $300,000 won’t cost you a $1,000. As such it is definitely worth the time of each and every person out there to go and get a quote for additional UM coverage. Get several quotes for different amounts to aid in helping you make the determination as to what is most reasonable and best suited for the protection of your family and yourself. If you or your family have been injured in an auto accident with an uninsured driver, contact us immediately.